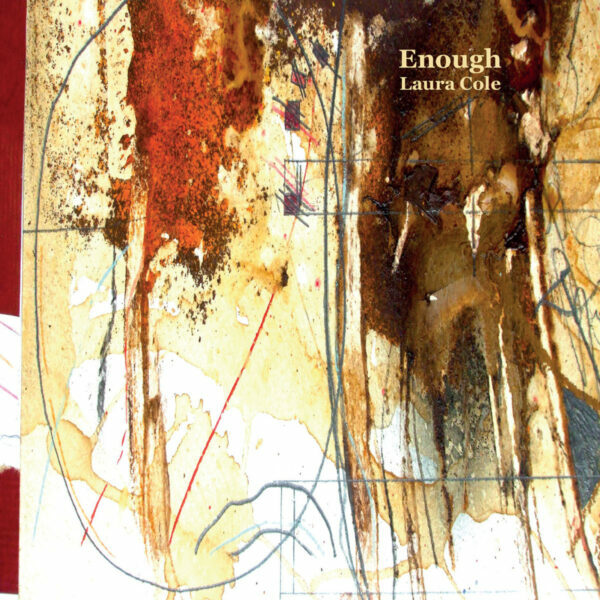 Laura Cole is a long-standing player with Martin Archer groups, including Deep Tide Quartet and Engine Room Favourites, and the recent Metamorphic record was a showcase for her songs, poetry, and piano work. She’s here now with Enough (DISCUS MUSIC DISCUS 71CD), a double disc set of her solo work. On This Is Water, Cole plays solo piano on ten pieces composed by friends and collaborators, including fellow Engine Room players and Archer himself; listeners who enjoy melody and chord progressions will enjoy Cole’s warm playing here. The works are not especially “out”, and wouldn’t have felt out of place on any given Prestige album from jazz’s “cool” period; only Kim Macari’s ‘Default Settings’, with its determinedly minimal stance, could perhaps be considered experimental. I’m finding more interest in the second disc, As Warm As The Sun, a set of 13 compositions and improvisations (and some poetry); to begin with the music is less like conventional jazz, and more like post-Webern modernism; the rich chords and melodic inventions are downplayed in favour of a more uncertain, ambiguous approach; strange melodies and skeletal notes hanging in the spaces between, and the best pieces feel like an unanswered question. One tune is even called ‘The Sphinx’, suggestive of a riddle. With this second disc, Cole may have come closer to achieving her stated aim with Enough, which was intended as a “highly personal” record of “intimate emotional journeys”. This seems to have been in response to a professional / personal crisis of the artist herself, to do with the tension between public performance and the privacy of the creative process. From 1st October 2018.